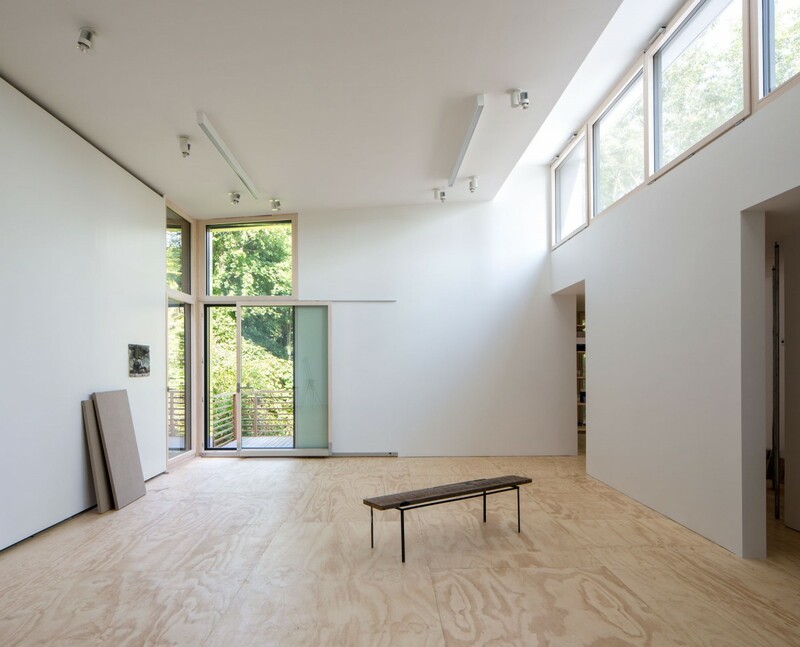 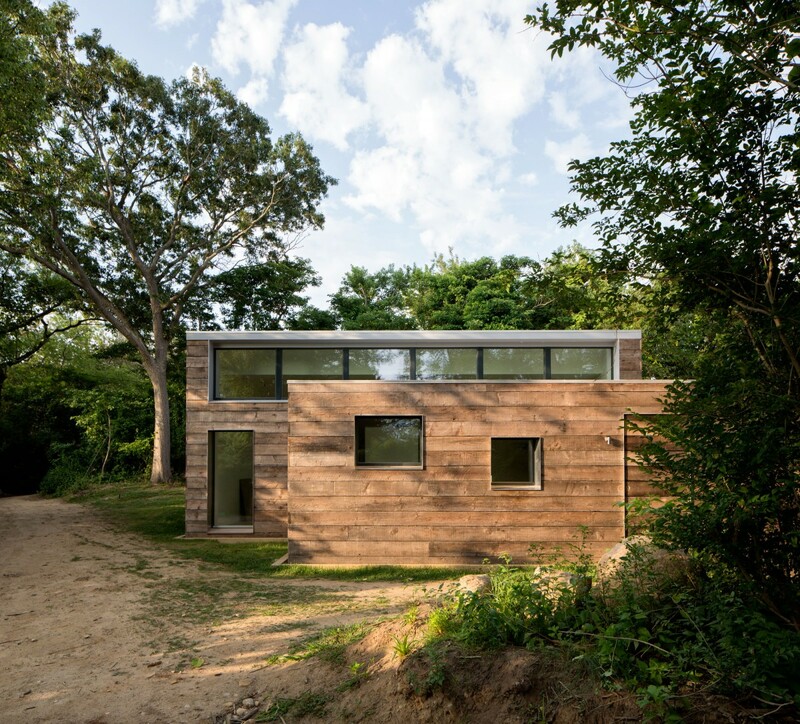 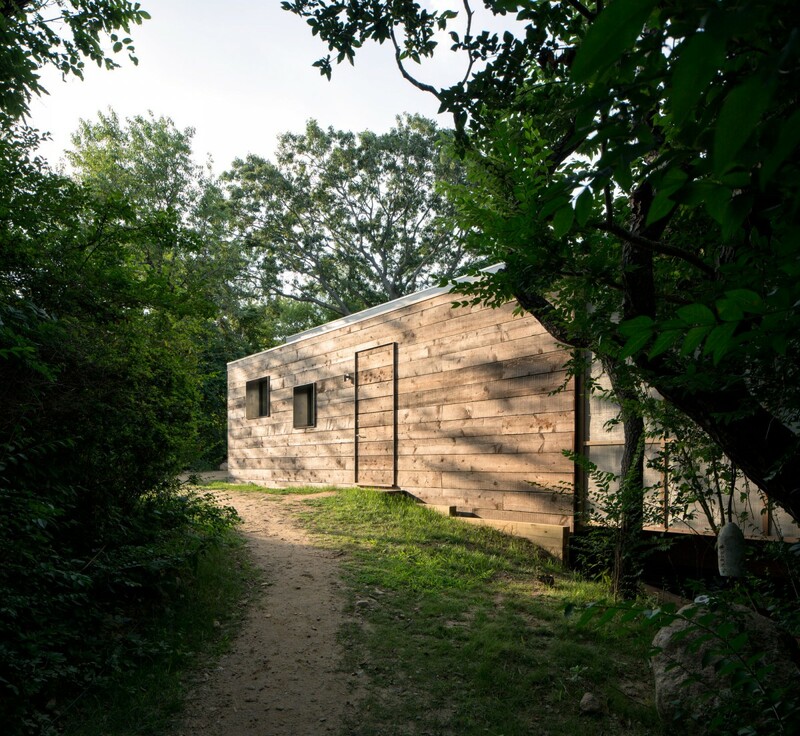 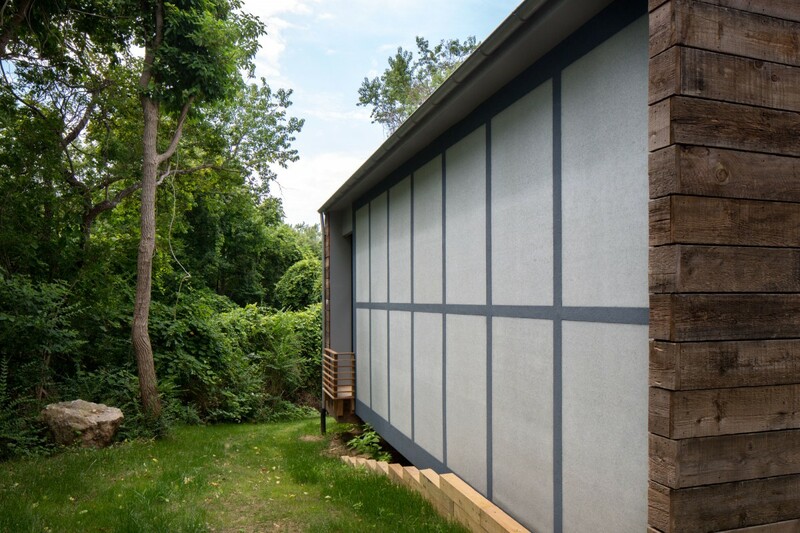 This Artists’ Studio on the North Fork of Long Island is one of the first projects in North America to receive international PassiveHouse certification—meeting the world's highest standard for building envelope and energy-use. 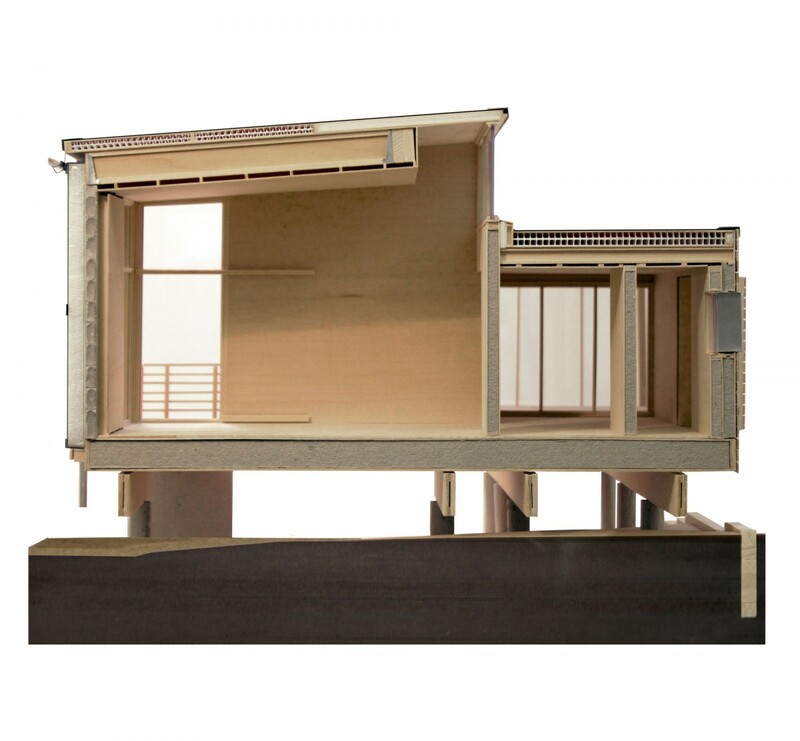 As a result, the heating and air-conditioning needs are dramatically reduced. 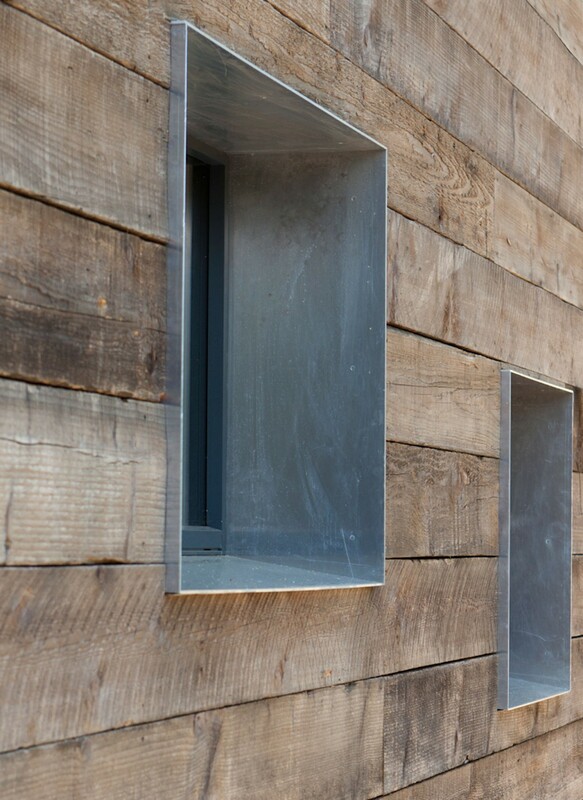 The studio is clad in recycled timber, applied as a rainscreen to protect the thick insulated walls and reduce air infiltration. 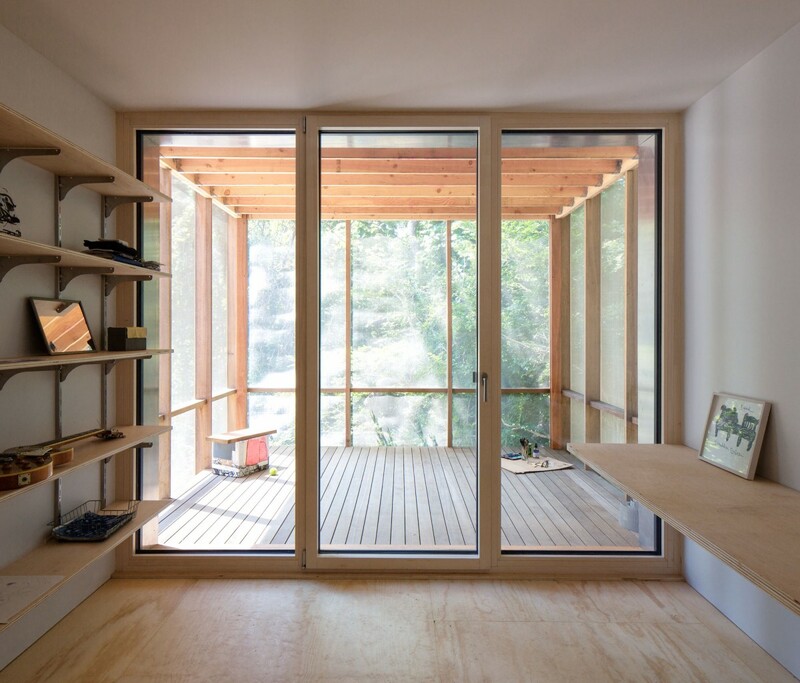 Windows are also of special construction, with triple pane glass and highly insulated frames providing a comfortable, stable, interior environment. 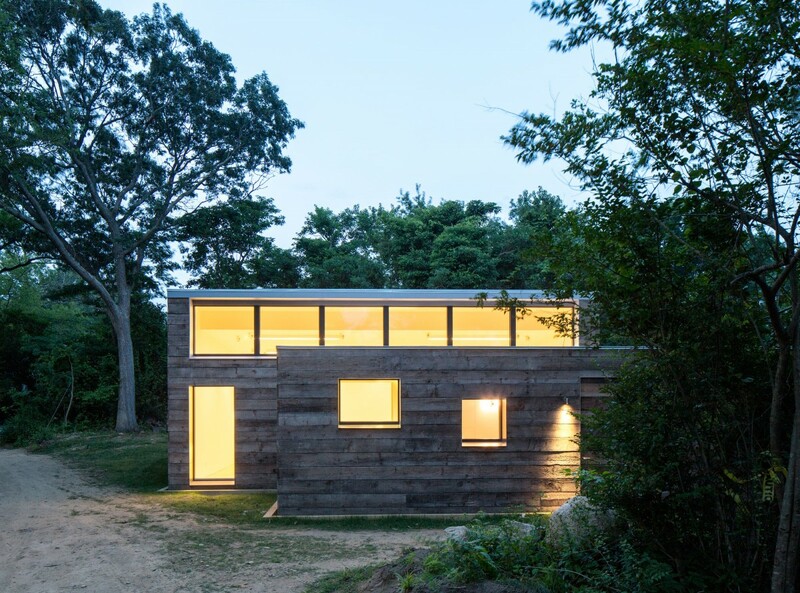 PV solar panels more than offset the building's electrical use, resulting in a Net-Zero building.